As the educational leader of this distinguished school, I welcome you to take a closer look at our story. For over 71 years, St. Luke Catholic School has presented wonderful opportunities for children in a faith-filled community. In the 2018-2019 school year, we will be celebrating our 71st Anniversary. May God continue to bless St. Luke Catholic School students, parents, teachers, and all who make it their life's work to educate the leaders of tomorrow. With a focus on Faith, Service, Excellence, and Stewardship, we are proud of the educational, spiritual, and extra-curricular programs, which help form students into the leaders of tomorrow. St. Luke Catholic School boasts of a highly qualified and experienced faculty who are dedicated to faith, service, excellence, and stewardship. With a student/teacher ratio of 15:1 our teachers successfully apply a variety of teaching methodologies and are current in educational practices. Technology is integrated into various subjects on a daily basis, and different learning modalities are addressed in every lesson. We are extremely proud of our St. Luke students who are trained to think critically and solve problems. In the past four years, 100% of our graduates have been accepted to the private or parochial high schools of their choice. On average, 97% of our graduates attend private or parochial high schools. Our alumni successfully integrate the educational and moral values that have been instilled in them at St. Luke Catholic School and carry these values with them to high school, college, and beyond. Currently, our 2nd grade teacher and our 3rd grade teacher are St. Luke Alumni. Our strong curricular program not only focuses on the foundational skills taught in core subject areas, but we take pride in educating the whole child, both in and out of the classroom. St. Luke students are exposed to the arts through our music and Meet the Masters programs. They strive for physical well-being through our comprehensive physical education program and the CYO sports program. Spanish class is incorporated into our TK-8 curriculum. Leadership opportunities offered at our school include Student Council, Robotics, and Graphic Design. We have an award winning Robotics Team who won the California State Championship in the 2014-2015 school year. They also placed second at the 2009 Vex World Competition, and qualified for the World Vex Robotics competition for the past five years. We have also earned numerous regional awards. Our Academic Decathlon Team earned 10th place in the Super Quiz in both 2008 and 2009. In 2011, we placed in Current Events and Fine Arts. In 2012, we placed in Current Events and Literature. In 2013, the Decathlon Team won 9th place in the 5 subject area Super Quiz, out of 113 schools. Our students also earned individual medals in the following subjects: Religion, Literature, and Social Studies. In 2014, we placed in Religion and Literature. Most recently, our Speech and Debate Team won several awards at league competitions. Our Catholic identity permeates the school. From daily prayer to weekly Mass, to community-wide service projects, our students are given opportunities and tools to grow in their faith. Our goal is to teach young people to integrate Christian values into all aspects of life. We provide students with educational and social skills needed to be active, productive members of the church and community. St. Luke students are very happy and well adjusted. We are very proud of St. Luke Catholic School. It is with great pride that I announce that we received our official certificate for our full WCEA/WASC Accreditation. 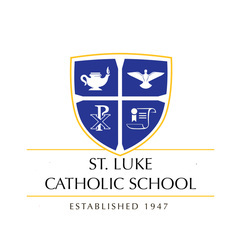 St. Luke Catholic School is fully accredited by the Western Association of Schools and Colleges and certified by the Western Catholic Education Association until 2021. Thank you for your interest in our story and as we look to the future, we encourage your support in forming the leaders of tomorrow.